Fifteen terrific bloggers share their interesting cards! my project and to win CANDY! I am very pleased to serve as your hostess for this fun, educational and inspirational event. 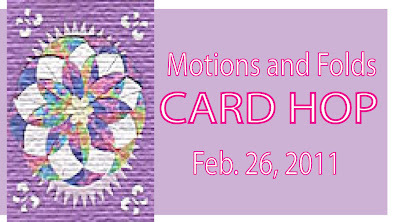 Here, I've asked our participants to show at least one card that has either a unique fold or motion. 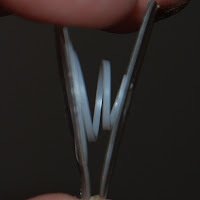 Many are showing tutorials for their projects; others are offering yummy blog candy. So hop along and enjoy your journey! Please leave plenty of comments, and become a follower of blogs you enjoy. Here at CardMonkey, you are at the starting blog hop of 15 fabulous stops. Your next stop is Selina's blog at www.mudpiereality.blogspot.com. Hopefully, you won't find any "broken links" but if you do, please pick up where you left off by jumping into any of the blogs listed below. Here is my project: A folded gift card box, that features a card with both a tri-shutter fold and motion. Earlier last week, I showed the box I made that was inspired by Alex @ http://www.youhadmeatcraft.com/ 's and Ruthie @ http://www.septemberninth.blogspot.com/ 's PJ party webcast. 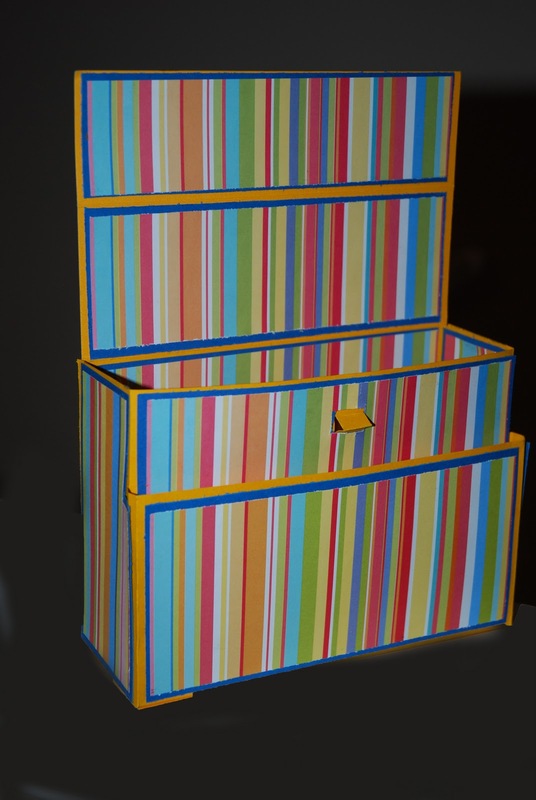 I designed and offered the template for this box, and showed it before it was "dressed" with the striped paper. Here the box is dressed. 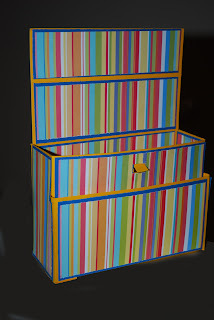 I was careful to match up the stripes, and mounted each piece on blue cardstock before posting each piece on the box. Next, I made the three cards to enclose in the box. Notice that each card incorporates the same papers as used for the box. The third card is the one I made specifically for this hop. 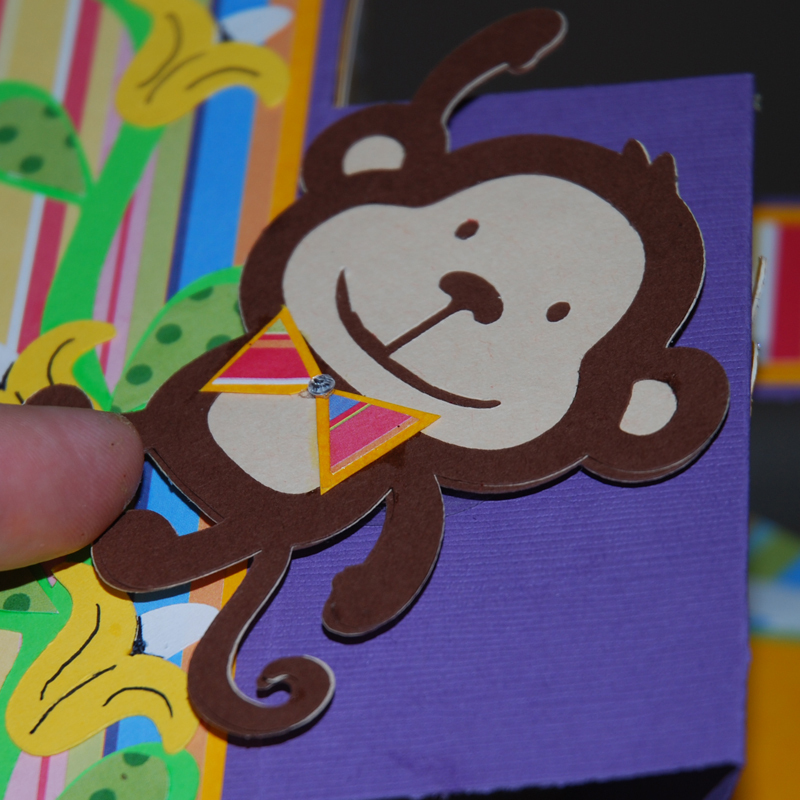 Its intricate fold is called a "tri-shutter fold" and the monkey is mounted using an Action Wobble. As a result, the monkey freely swings over his banana vine to have a really good time! The yellow panel is the space for a handwritten message. The monkey is mounted to the front panel, hanging from the (peeled?!) banana vine, and he has motion thanks to his Action Wobble. Monkey wobbling to the left, on his spring. I purchased the Action Wobbles from www.actionwobble.com. They offer both PayPal and Google check-out services. A pack of 25 wobbles is $9.95, and it is $18.95 for a pack of 50. NOW FOR THE GOOD PART .... Blog Candy! One lucky winner will receive the set of boxed cards made for this hop, along with a printed copy of the template to make the box, a set of five Action Wobbles, and a roll of green and white Baker's Twine -- perfect to use in your St. Patrick's Day cards! 1. Be or become a follower of this blog. 2. 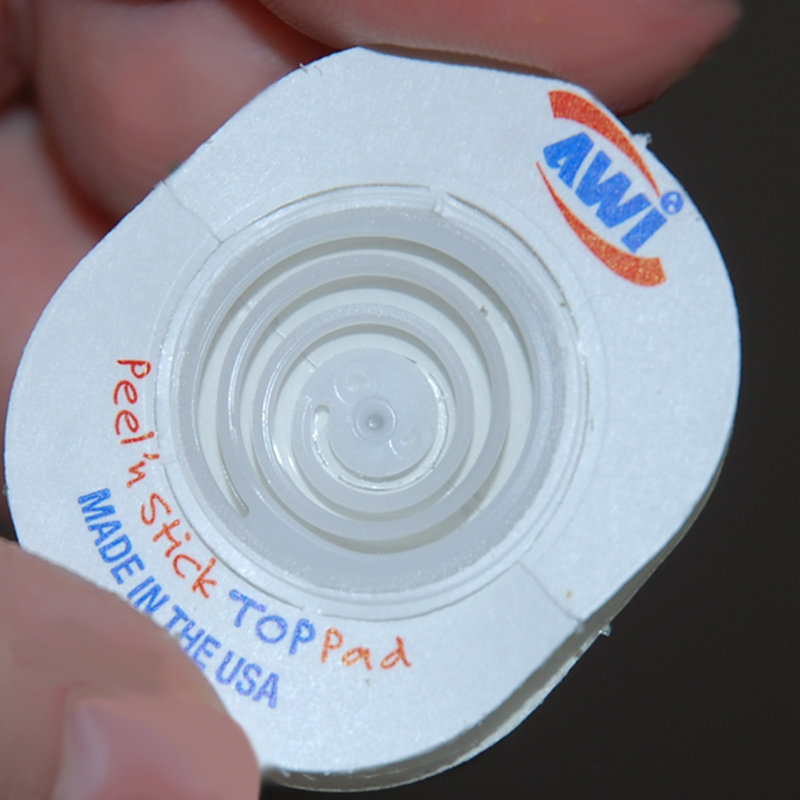 Leave a comment on this post; please indicate a way to be in touch with you when you win! Deadline for comments: Sunday Feb 27 at 7 a.m. EST, when Randy from Random.Org will be picking our winner. What a cute box, Ellen!! I love your Tri Fold Card. I hoping to make one of these for a baby shower tomorrow. Great job! I love this project! Beautiful colors! I can't wait to try a tri-shutter card! Thanks for doing such a great job hosting this hop! I will have to try those action wobbles too! Ellen, this is so awesome! I love the box and all the cards! Thanks for letting me participate in the hop with you! 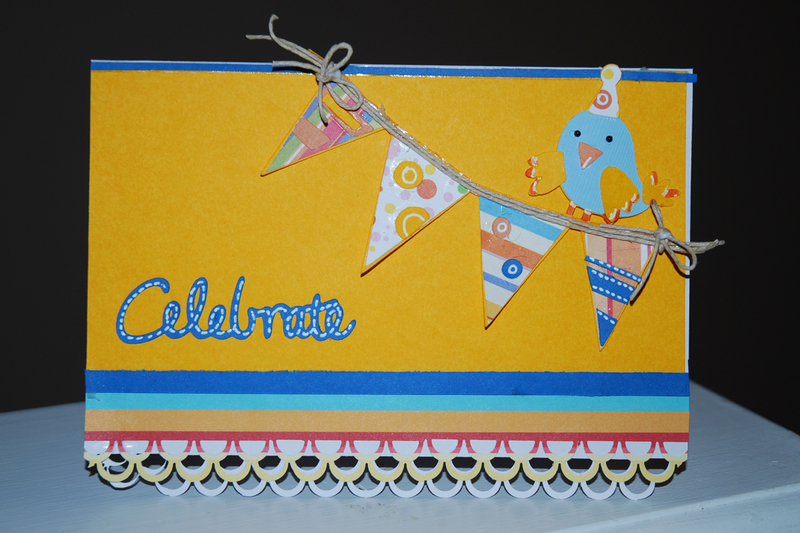 Ellen the tri fold card is adorable, I love it!! I love the others too but that one really stands out. Your box is amazing too, what a great storage solution. Thank you for hosting a wonderful hop. I am a new follower and i love your projects!!! What a fabulous box set, love the colors, thanks! Ellen What a great project..The box is so cool and the cards are amazing. I have been waiting all week for this hop..Thanks for having it... Hey those wobbles are pretty neat...I would love to win!!! I am already a follower!! All I can say is, "WOW". so much inspiration it is hard to take it all in at once. I'm a new follower and I plan on scouring your blog today because it contains a lot of information and ideas I haven't seen before. thanks so much for doing this hop!!! so glad I found you! I love the monkey card. Wobbles make things so much fun. Your whole set turned out cute. Great box! I am always looking for something to give my cards in. 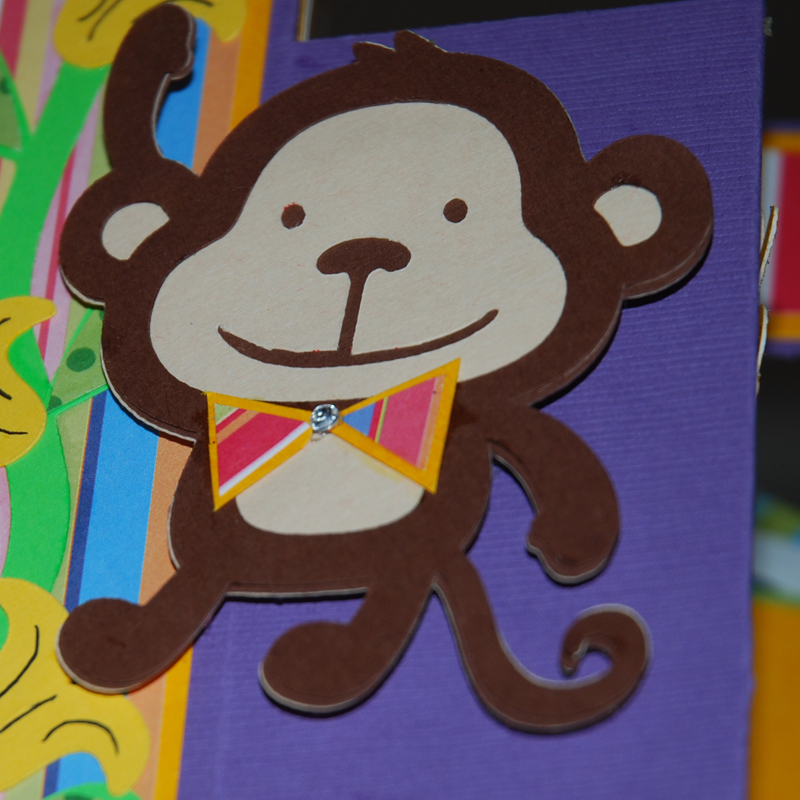 I still haven't tried a tri-shutter card, after seeing your adorable monkey card I think I will. New follower! I love that little monkey; my brain is already thinking of all the cool things I could do with action wobbles! Love the box! The cards are super cute! 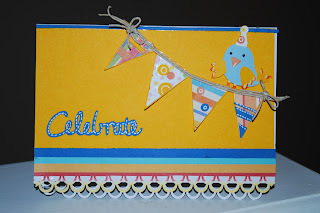 Thanks for the chance to participate in this blog hop! Awesome box, and cards. That lil monkey on the third card is just too cute. TFS! LOVE the box and your cards!! You are sooo crafty!!! :) Thanks for sharing..
What an awesome hop! I love what you created and will have to try one of those tri-fold cards soon. Can't wait to see what everyone has created!! Your box is FABULOUS!!! 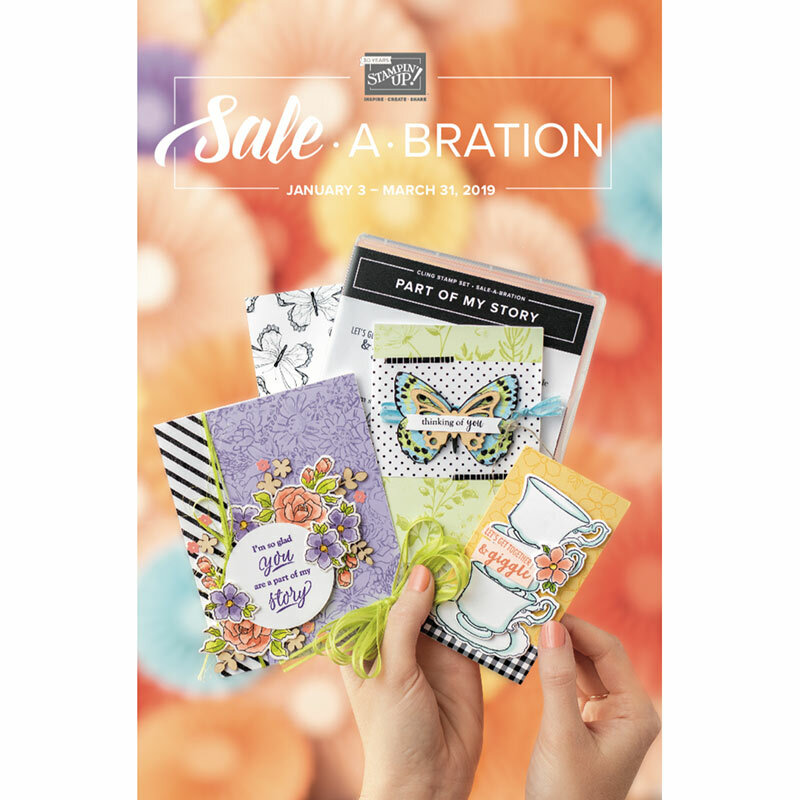 As well as your cards! Wow! Great projects Ellen!! That box is just awesome! Awesome is all that comes to mind Ellen! Thanks for hosting this amazing hop. OOpppsss! I sent you an email too! hehehe! sorry! But I just wanted to say I love this box! Amazing work, and very detail oriented I love them all! This is soooo cute! Your stripes look amazing on that box! Thanks for hosting such a great blog hop. I am so excited to be involved. All the cards in that great presentation box are all awesome! 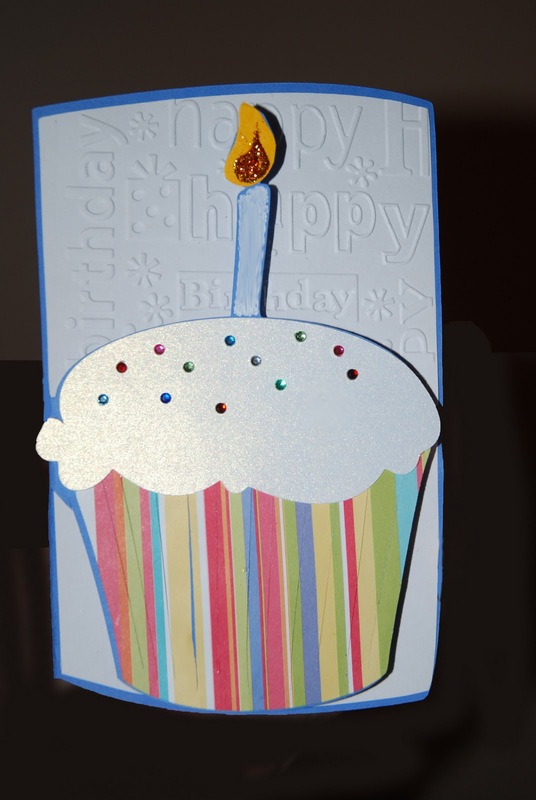 I love the banner and border on the first card, the cupcake card is so sweet with it's sparkle and texture and the monkey card is precious! It will certainly make some little person happy on their day! What a clever idea and I love the elements and colors! TFS! Love the box! The cards are awesome. I am a new follower and look forward to looking through your blog! Thanks for the chance to win! What a great project. I love the colors. I like the box and your cards are nice but I really like the money card. What delightful projects! Lots of love definitely went into their preparation! I have been seeing wobbles on card creations recently, so I very much appreciate the link you provided! Thanks for a fun hop! I just discovered you via the Critictologist (Janice) and I'm now a follower. I love all your ideas/creations!!! Your projects are so nice. I love the title of your blog and the monkey. Signed up to follow. wow.... love your projects. Would love to learn how to make the box. TFS! Ellen, Thank you for puting this hop together. 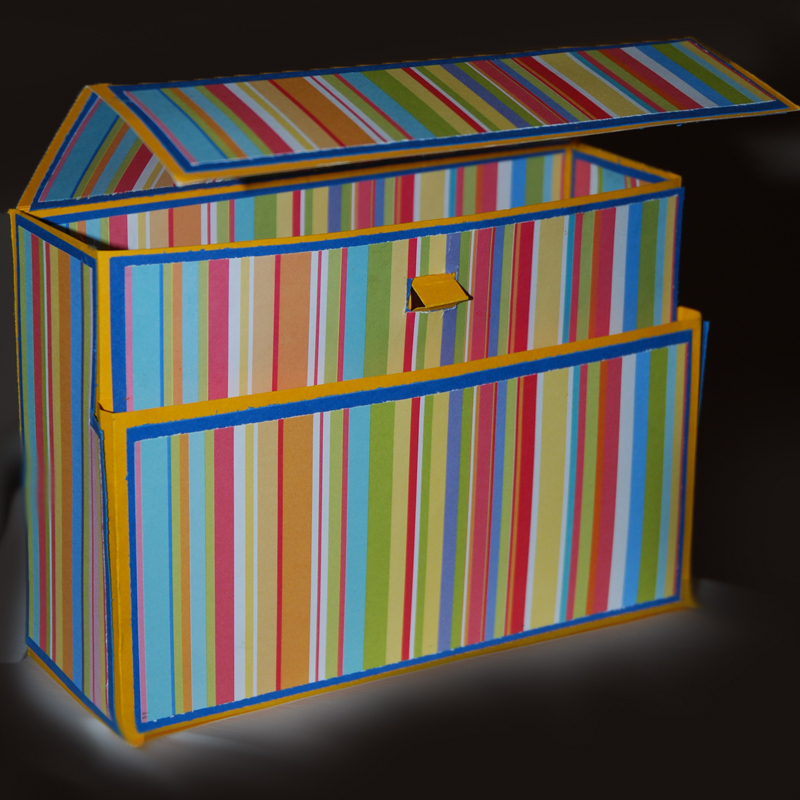 Your projects are amazing- your box is adorable I cant even think about lining up those stripes! WOW!!! love the box and the cards are super adorable!!! Love the bird on the banner - glad to see a card with it... The monkey card is sooo cute!!! I have to get some action wobbles.... Thanks for hosting the blog hop & allowing me to be part of it! Already a follower! I love your cool box and your cards, too. Thanks for hosting this awesome hop. that is beautiful! i love the action wobbles!! they are soo awesome. thanks for sharing!! Love your blog...I am a new follower! I am excited to figure out these cool new designs! Surprise! You are a winner from me! $10 gift card from Joann's! I didn't want people to follow just for reaching 200! I wanted them to follow for fun! You are my surprise winner! I need an addy! I think I sent you an email instead of a comment! I was so excited after i saw the monkey card! love your cards! bright and cheerful! viji.lg at gmail dot com! Clever and creative--that is cardmonkey! Thanks. The box is neat, cards are cute. Thanks for the hop. 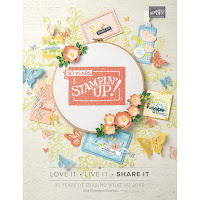 I just love all the colors, this is my kind of box & cards! You did a beautiful job on this project. Thank you for having me be a part of the hop. I really like your cards. I am looking forward to trying the tri-fold card. Thanks. CUTE stuff! 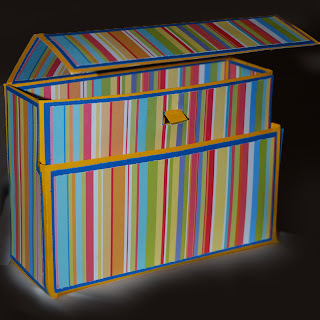 I love those bold colors on these types of projects and your box is just fab! Love your box and your blog - I am a follower and also a fan of fairycut too!! I will gladly become a follower of your blog. Your cards are great and I am always looking for new ideas. Thank you for hostessing this fun hop (I started in the middle). Love the cards. I will have to buy some of those action wobbles. Thank you for hosting the hop. Love that cute wobble monkey card and all your great office supply ideas. TFS! Oh Ellen - these projects are fabulous! I love the box - definitely going to have to try it. One of these days I am going to try one of those shutter cards too - they are so clever and I just love them :) Ever since I first saw this hop advertised I have been waiting for it! Love the box and the cards. The monkey one is too skinkin' cute! 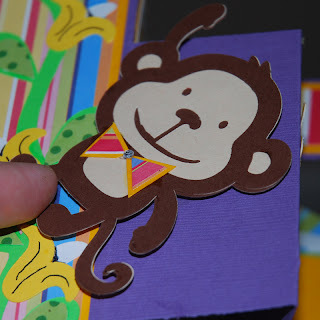 The monkey card is great - I have so many ideas now! Beautiful cards and the box is amazing. Fabulous projects!! Thanks for sharing! I love your cards and the card box! I have became a follower. Very cute projects. Thanks for sharing and a chance to win. I'm a new follower. I loved these unique cards!!! Very creative!!! WOW!!!!!!! I bookmarked this page (and the link); I absolutely LOVE what you've done!!! The cards are beautiful and I love the holder!! :) TFS!!! I can't wait to go hopping along this blog hop. I think that this is a fantastic idea. I love your cards. I am a follower. WOW Awesome cards and box. Just wonderful!!! These are some great cards and a super cool box!! Great card holder and the cards in it are gorgeous. 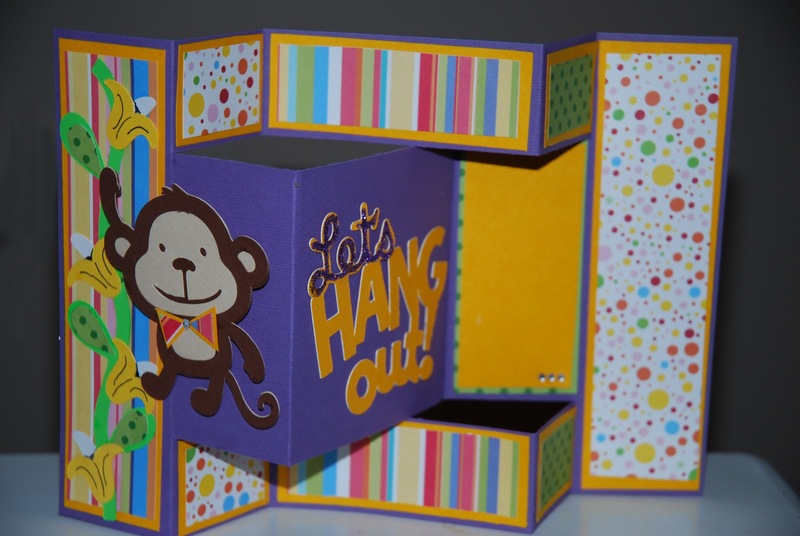 Love the action monkey on the tri-fold...that would be amazing in person/action. Ellen just back to you from hopping and wanted to thank you for assembling these talented ladies. My card do list has grown from the many ideas. Thank you all for your time, talent and generosity. Your projects are so cute. I love them all. Nice job. If you get a chance stop by my blog. BLOGGERS, PLEASE NOTE THAT A WINNER FOR THE BLOG CANDY HERE HAS BEEN CHOSEN. I will be leaving up the post for today (Sunday 2/27) while I work on more projects to post, and your comments are still LOVED. However, as promised in the post, the deadline to post to win the candy was Sunday 7 a.m. EST. SELINA (http://www.mudpiereality.blogspot.com/), SARAH (http://www.simplyshaddock.blogspot.com/), JESSICA (http://www.thecreativestamperspot.blogspot.com. ), SUE (http://www.susanascorner.blogspot.com/), JANICE (http://www.cricutology.blogspot.com/), WENDY (http://www.wendyscreativecraftingcorner.blogspot.com/), KACEE (http://www.youhadmeatscrap.blogspot.com/), JENNIFER(http://www.craftycardgallery.blogspot.com/), AMANDA (http://www.stellarscraps.blogspot.com/), KIM (http://www.rickettscricuts.blogspot.com/), BRYNN (http://www.flairandfrillscreativity.blogspot.com/), NIKKI (http://www.theglamoroussideofscrapping.blogspot.com/, and ELAINE (http://www.expressionsbyelaine.blogspot.com/). They were all wonderful bloggers to work with, and I would welcome them on any hop again!! And thank you too, to all of my Facebook friends and YOU, for visiting this blog hop and leaving such warm comments. You encourage us to reach higher into our creative brains! I'm a new follower. I love all the projects but the monkey card is my favorite. I love him being on a wobble! I really like seeing all the different kinds of cards. I'm planning on trying out some of the ones I've seen on this hop! Thanks for the inspiration and a chance to win!